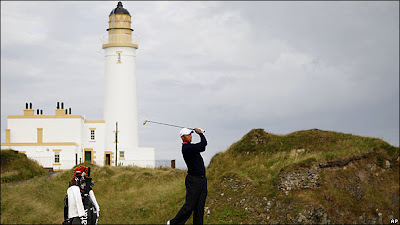 A great little blog by Iain Carter from BBC Sports be sure to follow it to get the inside scoop from the 138th Open Championship. He's got some great stuff on Tiger Wood's practice round, Martin Kaymer, Padraig and Turnberry's rough. Make sure you also follow him on Twitter as well love the inside info.